Lakeside High School hired Sandy in 1979, and for 31 years she has taught Physical Education, coached and is the current Athletic Administrator at both the Upper and Middle schools. She coached basketball at Lakeside for 26 seasons with a record of 473-205-1. Her teams earned 9 League Championships, 8 District Championships and 5 State Championships. She took 17 teams to the State Tournament; 10 years consecutively (which is a State record). She has earned several coaching honors including: nomination for the PI Sports Star of the Year (1991), Seattle Times “State Coach of the Year” (2003), John Wooden “Coaches Wall of Fame” and the 101 Club Coaches Award (2009). She was inducted into the Bishop Blanchet Hall of Fame (2011) and the CMSU Hall of Fame (2012). Beyond her playing, teaching, coaching and administrative accomplishments, Sandy has served as a mentor to other coaches. 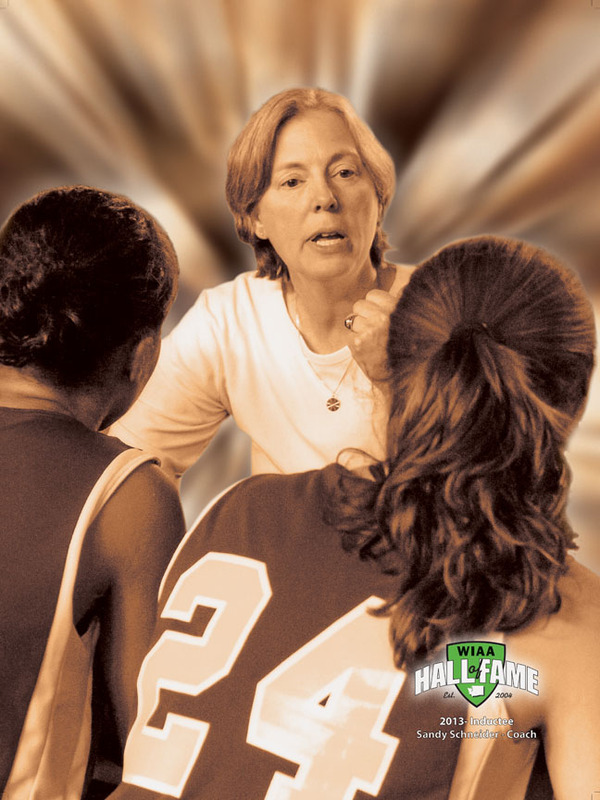 Her athletic and coaching efforts helped pave the way for many who see her as an inspiration. She has also been a leader in creating opportunities for kids to access athletics in a variety of ways as she advocated for the rowing program to extend from Lakeside High School to the middle school. Her focus on kids has remained the reason why she is easily named one of the most successful basketball coaches in Washington state history.